What a great machine! If you’re like me, refusing to let go of your 1990’s sewing machines. This is a great upgrade to the modern-day era. I was a little skeptical after I made the final purchase on Amazon, when I noticed that the machine was not made with all metal parts. So upon my inspection I had to verify that the bobbin casing, feed dog, and the presser feet were made of metal. I was pleasantly surprised that the important parts were all metal. I was also expecting to oil the machine before I got started on my sewing project, but no oil is needed. The instructions suggest vacuuming the feed dog and bobbin casing to remove thread strands and debris. The 140 built-in stitches makes this computerized sewing machine a joy to use. I’m not too keen on changing the presser feet when I want to change a stitch, and found myself only using the stitches that are used with whichever presser foot I was using. I soon overcame that fear, and learned that it’s only a press of a button to drop the presser foot, and lowering a lever to attach a new foot to begin a new stitch pattern. The computerized control panel with stitch selections and buttonhole stitches are automatic. I remember all too well when you needed to position your buttonhole corner by corner, turning the fabric so that you could create that perfect buttonhole. Not anymore, now sewing a buttonhole is automatic once you set the buttonhole foot to the size of your button. Hand sewing buttons are also a thing of the past with this machine. As you can tell I have been living in the dark ages. The foot controller is made of plastic, but works fine. 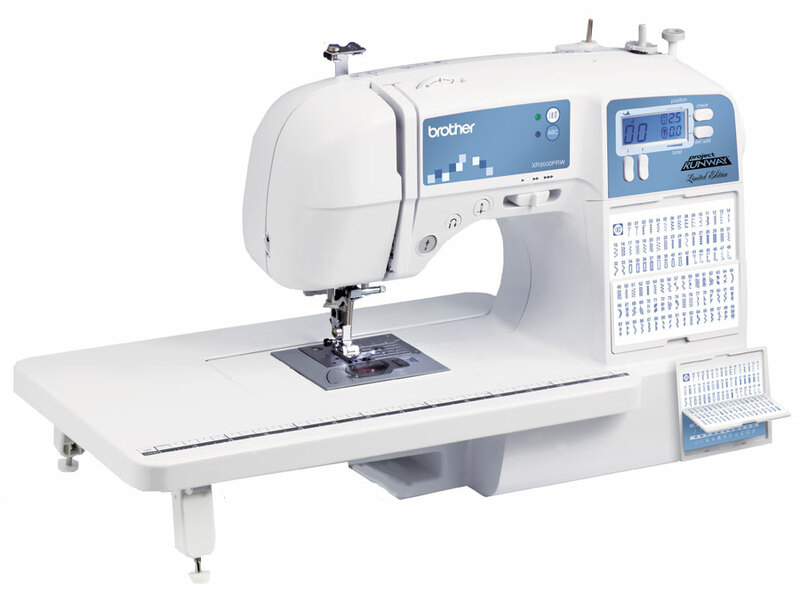 Depending on how comfortable you are with sewing, you will find that the automatic start and stop sewing button does the trick, so there is really no need for the foot controller – if you’re paying close attention. The foot controller maybe needed for your monogram projects, because the letter or words will repeat themselves if you don’t stop on the last alphabet. Trying to maneuver with the zipper foot is quite simple compared to the zipper foot from the dark ages, but I did break a needle. I wasn’t use to the metal foot with left and right side positions that guide your needle. I was trying to sew right when it was in the left position and that’s when the needle hit the center portion of the presser foot and bent the needle. There is only one negative point for me, and that is the lighting that comes with the machine. It’s not as bright as I would have liked. But I can’t see as far as I used to see either. I haven’t tried all of the functions yet, but I’ve made a good attempt. I’ve created a wristlet in a day, while trying out the functions. I will try the quilting functions and the blind hemming stitches next. All in all I’m very satisfied with the Brother XR9500PRW. Here is a picture of my 1st project, I will post the tutorial of how I made it. Wristlet purse-made from recycled materials. Stay tuned for more creations with LaCartera.